By enrolling your child you agreed with terms and condition, call 619 487 9269 if you have any questions. Prices vary depending on; length of session, time and location. $15.00 material fee per session, will be charged on all enrichment calsses. Parents are responsible of loging in our website and use the suggested activities and links, parent portal to improve your child performance. SUMMER CAMP! Please print, fill and sign form 1 and form 2 by the first day of session. It is your responsibility to sing your child in every morning and sign your child out every afternoon during camp days. Second and third sibling 5% off registration. NO DISCOUNT WILL APPLY ON ONCE A WEEK CLASS, WHEN ORIGINAL SCHEDULE IS SET FOR TWICE A WEEK CLASSES! 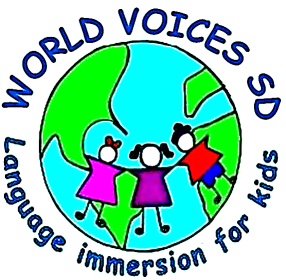 5% aditional discount for one of your kids, for each referred student that becomes a WVSD Kid. Receive free tuition on your first session (enrichemt) if you assist in establishing a WVSD program at you child's preschool or elementary school. $25 late payment fee will be charged if we have not received your payment by the second class of the session. Enrichement classes require a minimum enrolment of 5 children. Summer camp classes minimum weekly enrolment required 10 campers. Classes that do not meet the minimum enrolment may be combined with other similar classes, postponed, or cancelled. Registration is required for all classes, fees won't be pro-rated once the session start unless authorized by the Director. Registration is available on line 24 hours a day, 7 days a week. Late registration may by added in the middle of session (upon availability) price will be pro-rated. Confirmation emails are sent upon enrolment, once confirmation is received consider your child enrolled, is your responsibility to pay the registration fee unless cancelled with the time frame explained below. (withdrawals, and refunds). Please print your receipt at the time of transaction. If the desired class is full, you will be placed on the waiting list and contacted if a space becomes available. Please do not attend the class if you are on the waiting list, unless contacted. • Full refunds are available for courses cancelled by WVSD & WVSD teachers only! Pay online at the moment of registration. Returned checks are subject to a $25 processing fee. Private Classes: Once you confirm your schedule is your obligation to pay the full amount by the firsts class day, no refunds will be made. Remember a teacher has been assigned to your own personal options and she will not commit to any other classes during this time. Request made 1 week prior the first class will be processed for 50% of the agreed fee, any cancellation after this time will be subject to a 100% charge. Requests must be received one week prior to the first class meeting on after school programs, and two weeks prior the first class for SUMMER CAMP, (be aware that your child is using a spot that can not be taken unless you cancel within the time frame). Requests received less than one week prior to the first meeting (enrichment), or two weeks (summer camp) will be processed at 50% of the fees. Not available once the program begins. Payment must be made no later than the first day of the session, we will regret denying your child's entrance to classes. Students with outstanding balance will not be admitted in class until this balance is covered. Check transactions will be refunded via check, less a $25.00 refund processing fee. This process takes 3-4 weeks. Online payments will be refund too the method of payment received, less 10% processing fee. There are no make-up classes unless the reason is a health related event. If your child is unable to attend the scheduled class due to sickness you may attend any other class during the next 15 days as a "make-up". Please check the schedule and let us know in advanced that you will be attending another class. Refunds are not issued for missed classes.